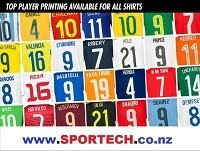 We supply player shirts and jerseys, full or part kit, with or without player name and number; with or without league badges. A favourite option is to have a jersey personalised with your name and number. A personalised player jersey makes a unique gift that the recipient will remember for a lifetime. Last few MESSI kit sets are on sale now !! Current height should be at least 6cm below the maximum height on the size chart. This is to allow room to grow. Manchester United have announced the signing of Paul Pogba in a world-record transfer from Juventus. 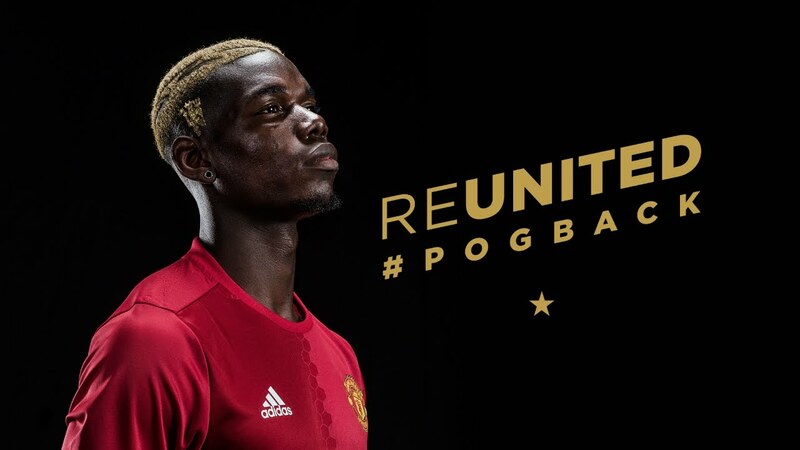 Pogba, 23, has signed a five-year contract with the option of a sixth season after United agreed to pay the Italian champions €105million (£89m) over the course of two years. That figure beats the estimated £85m that Real Madrid paid Tottenham for Gareth Bale in 2013 in the previous world-record deal. Juventus revealed United could owe them a further five million euros (£4.25million) if certain sporting targets are reached during the course of Pogba's contract. Pogba left United four years ago for a nominal fee, and went on to win four Serie A titles and the Coppa Italia twice while his reputation grew - persuading Jose Mourinho to pay a colossal sum to bring him back to Old Trafford. 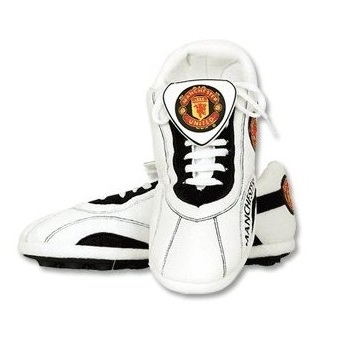 "I am delighted to rejoin United," Pogba said. "It has always been a club with a special place in my heart and I am really looking forward to working with Jose Mourinho. And Pogba himself then followed up by bidding farewell to Juventus. "Thanks @juventusfc and all Juventini. Goodbye means nothing, it is the time we spent together that matters." he wrote. Only then did the official announcement come from the club. But United and their fans will hope Pogba proves to be worth the wait. 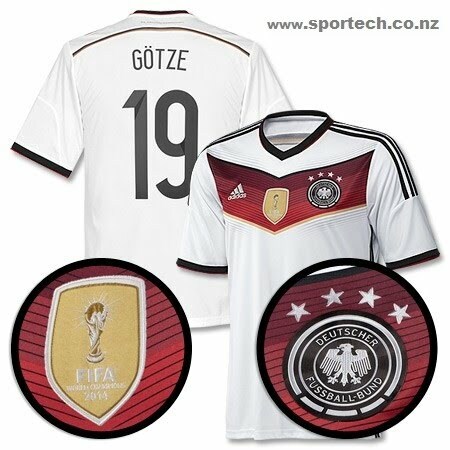 Adidas revealed that it sold more than 3 million Germany 2014/15 World Cup Home Shirts. Previously the record was held by the Germany 2006 Home Shirt, but those numbers were more than doubled in the World Cup-winning year of 2014. Remarkably, one third of the Germany shirts were sold outside of Germany, showing the global appeal of the German national team and its Adidas kit. Compared to major club teams, the Germany 2014/15 shirt sales look even more special. Between 2009 and 2014 Real Madrid had the highest sales in the period selling a little over 1.5 million shirts each year, followed by Manchester United, FC Barcelona and Bayern Munich. At age 6 years Anthony Martial was being compared by his old coach with Thierry Henry. From the age of six until 14 Martial played and trained at a small club in a south-eastern suburb of Paris called Les Ulis. From this small pitch you can see the apartment block where Martial lived until a few years ago. Look to the left is the apartment block where Patrice Evra lived and near that the apartment block where Thierry Henry lived. Remarkably, French World Cup winner Thierry Henry and former United defender Patrice Evra all played for Club Omnisports des Ulis. Martial’s coach at Les Ulis, Mahamadou Niakate, played football on this pitch alongside Evra and Henry. Cristiano Ronaldo ‘officially’ became Real Madrid's all-time top scorer with a goal as they beat Levante in La Liga. Fittingly. before the match Ronaldo had been presented with the Golden Shoe for being the top scorer in European leagues last season. The 30-year-old Portugal forward scored his 324th Real goal in only 310 games to overtake Raul's record. The club had already considered Ronaldo the unofficial record holder as they credit him with a goal deflected off Pepe in 2010. Ronaldo's La Liga record-breaking strike came after an hour from just outside the box - either side of goals from Marcelo and Jese. After scoring twice in a 2-0 win over Malmo last month, Real held a presentation to give Ronaldo a trophy for breaking the record. The discrepancy dates back to 2010 when a Ronaldo free-kick was deflected in by Pepe. La Liga considered it a Pepe goal but Real deemed it Ronaldo's - and hence have credited him with various scoring landmarks one strike before La Liga recognizes them. New York Cosmos striker Raul, who is retiring in November, was Real's record goalscorer, but Raul took 741 games to score his 323 goals. 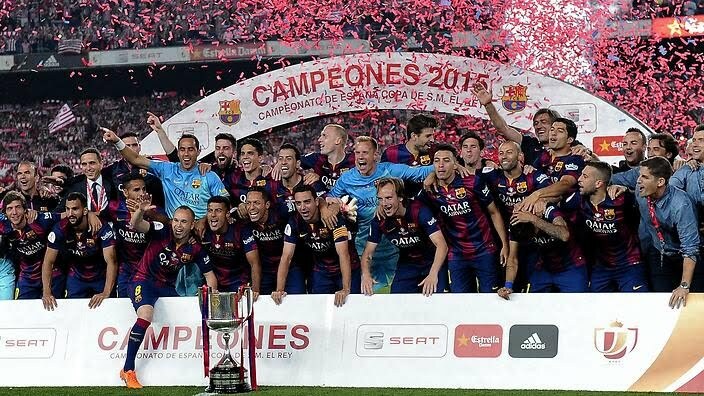 Barcelona won the La Liga Title last week followed by the Copa del Rey this weekend to take out the Spanish double for Barcelona. Lionel Messi’s first goal was a brilliant solo run from near the half-way line. He avoided five tackles on the way to a sweet finish. The MSN trio were unstoppable. Two goals from Messi and one from Neymar made by Suarez. 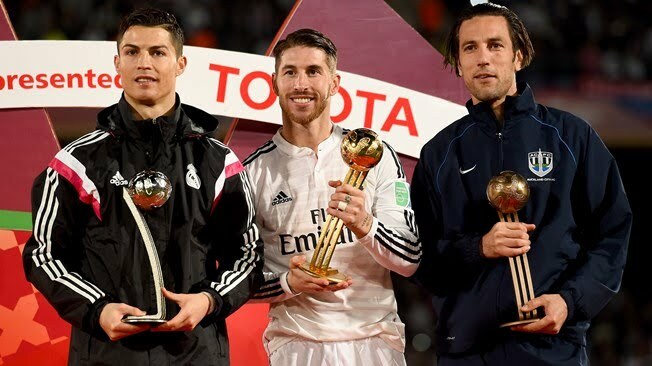 What a day for Ivan Vicelich to stand on the podium next to Sergio Ramos and Cristiano Ronaldo. 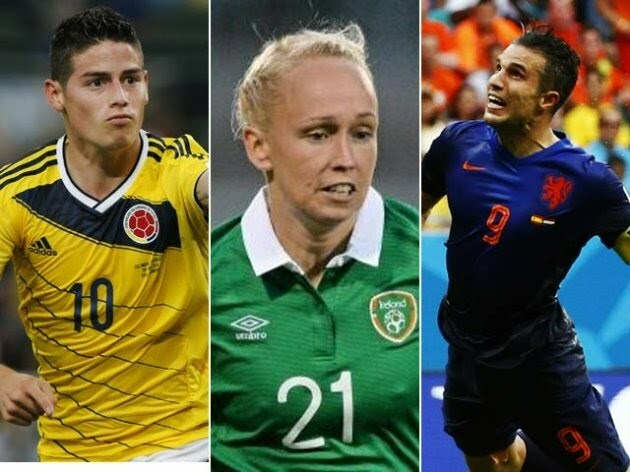 It's that time of year again, when you get to cast your vote for the FIFA Puskas Award. 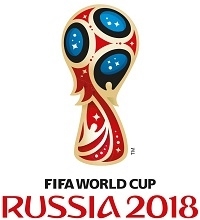 FIFA has finished whittling the thousands of goals from around the world between 3 October 2013 and 26 September 2014 down to just three. Now you have an even tougher challenge – choosing just one which you believe is worthy of succeeding Zlatan Ibrahimovic's stunning effort that scooped the 2013 award. Join us for the FIFA Ballon d’Or 2014 Gala on 12 January 2015 (13 January NZT) to find out which player will receive the award for the greatest goal of 2014. 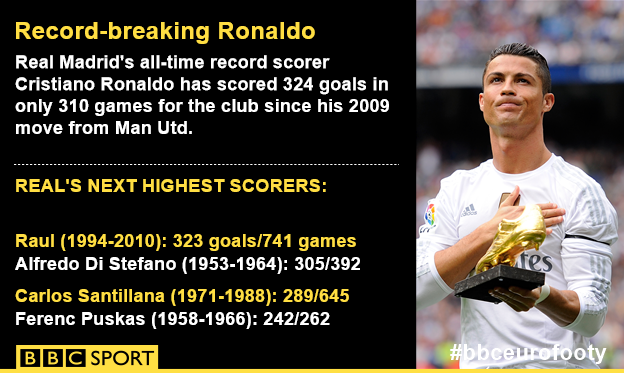 Last year's winner Ronaldo is hot favourite to retain the trophy, ahead of four-time winner Messi. 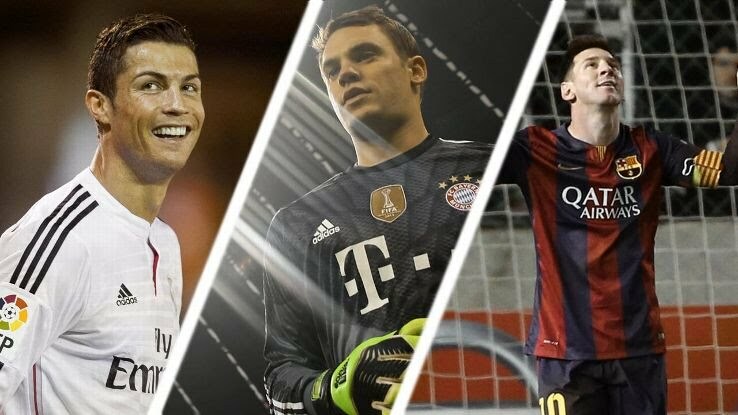 But Bayern Munich stopper Neuer will hope to take the individual accolade, after becoming just the third goalkeeper to be shortlisted in the 21st century and with Lev Yashin the only previous keeper to win the award - back in 1963. 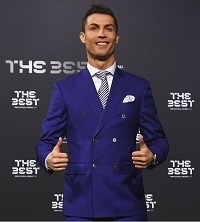 Portugal international Ronaldo is favourite for the award, after shining throughout the year and leading Real Madrid to success in the Champions League, Copa del Rey and European Super Cup. The 29-year-old has been in breathtaking goalscoring form, netting 55 goals and adding 19 assists for club and country across the calender year in just 55 appearances. Great rival Messi, second to Ronaldo in 2013, has 52 goals and 21 assists for Barcelona and Argentina in 2014, but it's been a year of near misses for the 27-year-old. Barca came runners-up to Atletico Madrid in La Liga, were beaten by Real in the aforementioned Copa del Rey final and despite Messi's prompting, Argentina reached the World Cup final, where they were beaten by Germany 1-0. However, Messi's performances at the tournament in Brazil saw him awarded the Golden Ball for best player, while he has also broken goalscoring records for both Los Cules and La Liga. Bayern keeper Neuer had arguably the greatest year of all however. The 28-year-old won both the Bundesliga and DFB Pokal with the Bavarian club, before winning the World Cup with his country in Brazil. Neuer was awarded the World Cup Golden Glove, named in the World Cup Dream Team and named Footballer of the Year in Germany for the second time. The FIFA/FIFPro World XI 2013 has been announced at the FIFA Ballon d’Or ceremony in Zurich on 13 January 2014. 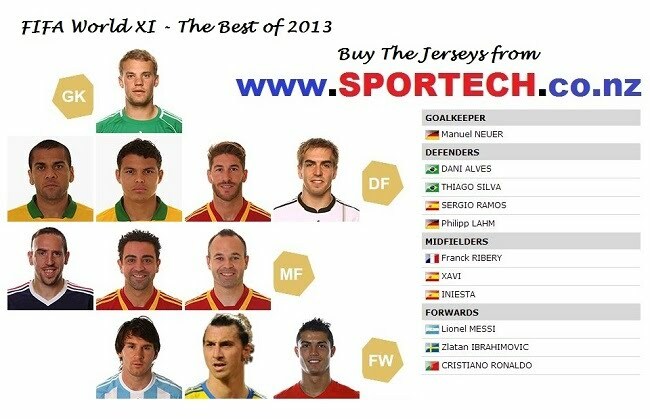 The World XI for 2013 as voted for by over 50,000 professional footballers.